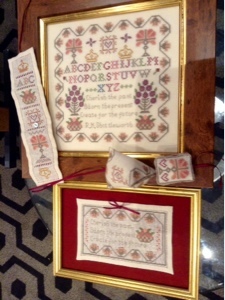 Jaynes stitching tales: A stitching weekend away. 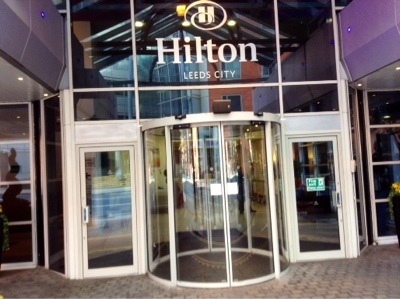 I have just come back from a stitching weekend with the Cross-Stitch Guild at the leeds Hilton Hotel. The weekend was centred around the Shuttleworth Collection at Gawthorpe Hall, a private viewing of some of the collection had been arranged, unfortunately we were unable to go around the Hall as it has been closed due to some damage. 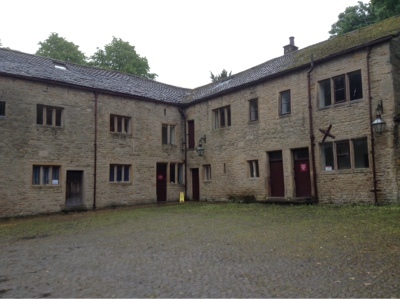 This is the part of the stable block where we viewed the collection. 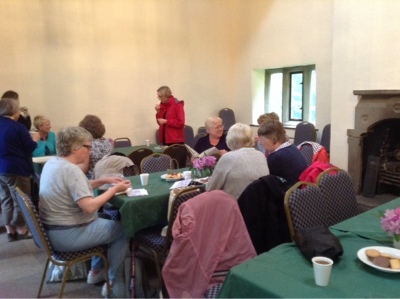 We where provided with refreshments and lunch and we had a place to stitch as the group was split into 2 to view the collection. These are some of the ladies in our room at the hotel stitching, my Mother and I have come on quite a few of these weekends before so we know quite a lot of the other ladies. 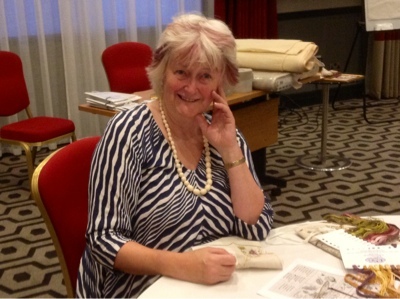 Here is Jane Greenoff who runs the Cross-Stitch Guild and organised the weekend we had ladies a far away as Austrialia and the USA attend. Jane runs her own cross-stitch design company and has published many books, she brought a lot of goodies with her for us to buy. I did manage not too spend much money I bought her recent book. 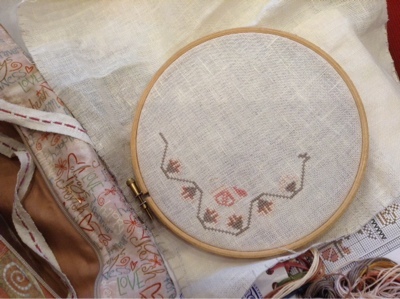 Our stitching kit had the pattern to do all the above samples, with thread and linen, I decided to do the sampler this is what I managed to stitch. 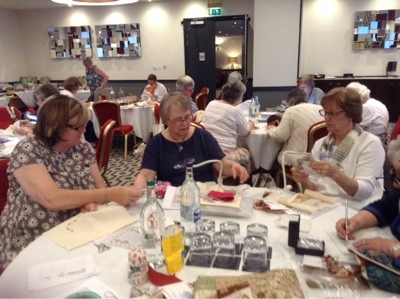 I had a great weekend renewing old friendships, just relaxing, stitching and eating food I had not had to cook. Looks like a lovely weekend. The Shuttleworth Collection is also a lot of old aeroplanes (in Duxford I think?) so I did wonder what the connection was! Eating food you didn't have to cook, or wash up afterwards, is always a lovely treat too!